British farmers can now use marine technology to boost crop yields and health, following the union of two cutting edge plant health businesses. 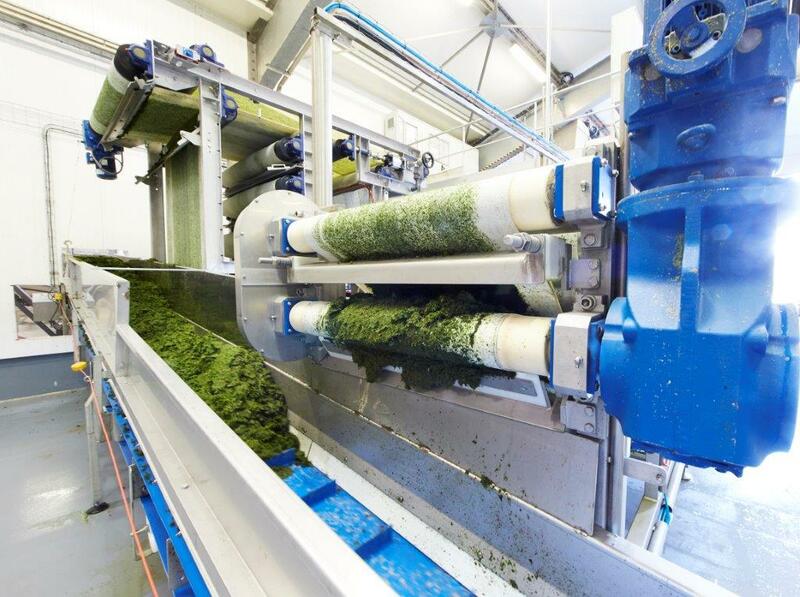 French firm Olmix, which specialises in marine biotechnology and uses algae to improve plant, animal and human health, recently acquired Nottinghamshire-based Micromix, marrying seaweed science with expertise in foliar nutrition and biostimulants. “We want to control the whole plant environment and by pooling scientific, industry and technical expertise we believe we have the answer,” says Jean-Marie Bocher, international director at Olmix. By combining foliar nutrition with algal-based soil improvers and plant stimulants, farmers can now boost yields and plant health while reducing the need for chemical sprays. Olmix will unveil the new partnership at the Croptec show, Peterborough, on 28 November, where farmers can learn how research into biosolutions is feeding through to practical benefits in the field. “Micromix has received a lot of funding for research and development, most recently from Innovate UK to look into reducing abiotic (non-biological) stress like drought,” says Wilson Boardman, managing director at Micromix. When combined with Olmix’s research budget, which stretches to €8-9m (£7-7.9m) a year, the benefits to farmers are considerable. “I’ve never come across a company anywhere in the world that is so dedicated to algae and prepared to spend so much on research and development,” adds Mr Boardman. Olmix uses the latest scientific techniques to break Breton seaweed down into carbohydrates, proteins, sulphated polysaccharides and nutrients, which can then be used to produce different responses from the plant, whether that is growth stimulation or boosting its natural immunity against stress and disease. When combined with soil improvers and foliar nutrients, this offers farmers a complete package of plant care, enabling them to boost yields and crop health with minimal chemical intervention. “For many years there has been healthy scepticism around the benefits of alternative plant products, but we now have the science to explain and prove the benefits of algae,” says Mr Gamble.